The ECM used in GM Gen IV applications does not have a tach output wire to provide a tach signal to a tachometer. This small device converts the 5 Volt 58X crank sensor signal from any Gen IV GMV8 engine into a 12 Volt signal useable by most aftermarket and OEM tachometers. If you need to repair crushed or broken connectors on your factory harness or are converting your injectors found on modern multi-port fuel injection systems, Painless now offers this repair/change over kit. Contains terminals, seals, terminal locks, and connectors for 8 injectors. Includes two 24” pigtails to allow relocating coils off the valve covers. Factory color coded wires and weatherproof connectors. One drivers side, one passenger side pigtail. 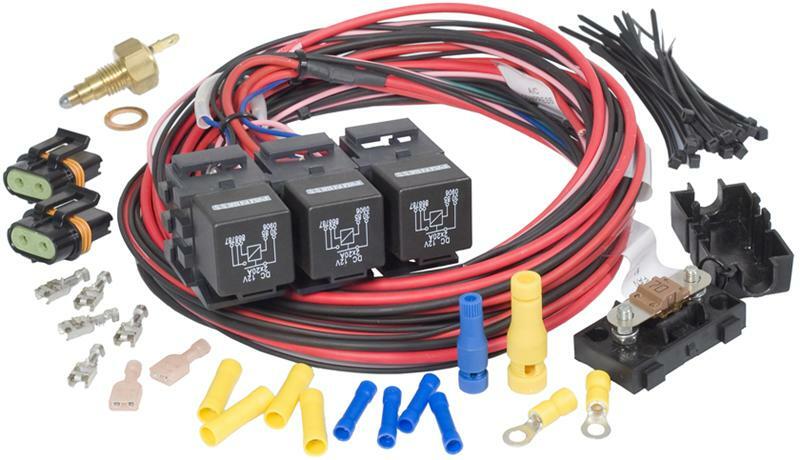 This kit uses the stock neutral safety switch to also provide for ECM park/neutral ground signal needed when installing factory-style fuel injection into older vehicles. For use with any aftermarket shifter or column mounted neutral safety switch. This kit is engineered to perform as a neutral safety switch or a backup-light switch by using one of two trigger levers included. Fits GM Turbo 350, 400 and 700R4 transmissions. For the GM HEI distributor. Includes OEM distributor connector and 6 feet of wire. Connects coil to distributor on TBI & TPI engines. Connects power and tach to coil on TBI & TPI engines. To convert from carburetion to TBI without having to replace your manifold. For square or spread bore base and accepts any 43 mm bore throttle body from 4.3L, 5.0L and 5.7L GM engines. For 1990-92 GM Tuned Port engines. Includes wire covering for most fuel injection installations. 2 pulse VSS for all TBI and Early TPI EFI systems. 4 pulse VSS for Late TPI and Early LT1 EFI systems. These kits for the 700R4 and 200-4R transmissions will control the lock up function of the torque convertor without the need of a VSS or any interaction with an ECM. The vacuum controlled switch and a 4th gear pressure switch supplied with this kit controls the torque converter lock up solenoid.